Governor gets push-back on rail cars. Who will replace Gov. 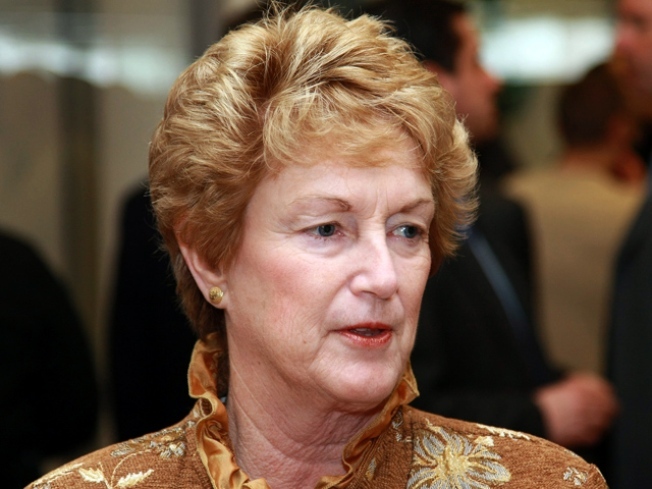 M. Jodi Rell in next year's Gubenatorial election? As Gov. M. Jodi Rell ran her last state Bond Commission meeting on Friday, she met some resistance to state spending and public indebtedness and some of that conflict was from people in her own party. The Bond Commission approves scores of projects totaling hundreds of millions of dollars to build public works projects, schools, the purchase of rail cars and other initiatives. Rell, the Republican governor, leaves office on Jan. 5 and several items were up for discussion, including funding for new rail cars – something for which she has been fighting. Rell and Democratic members of the Bond Commission differed over buying the last 38 rail cars of 380 ordered for the New Haven and Shoreline East lines. CT News Junkie reports that Nancy Wyman and Attorney General Richard Blumenthal were not at the meeting and lawyers are arguing over whether the majority of the commissioners present is enough to pass something or if they need votes from the majority of the whole commission. Republican Sen. Andrew Roraback of Goshen said officials must occasionally say 'no' to projects the state cannot afford. Rep. Vincent Candelora, a Republican from North Branford, voted against everything on the agenda, CT News Junkie reports, and Rep. Cam Staples, of New Haven, Sen. Eileen Daily, of Westbrook, and Sen. Andrew Roraback, of Goshen, vetoed some items, and the fate of several projects remain in question.